A SPECIAL handbag for carrying babies furnishes protection in case of a wartime gas attack. An oxygen tank begins to function as soon as the zipper cover is closed, supplying air to the baby. 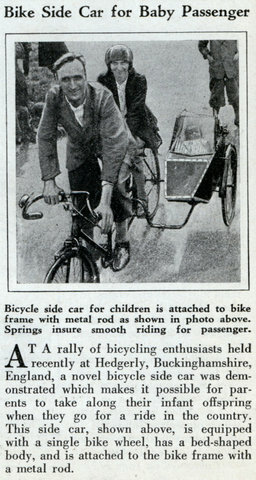 AT A rally of bicycling enthusiasts held recently at Hedgerly, Buckinghamshire, England, a novel bicycle side car was demonstrated which makes it possible for parents to take along their infant offspring when they go for a ride in the country. 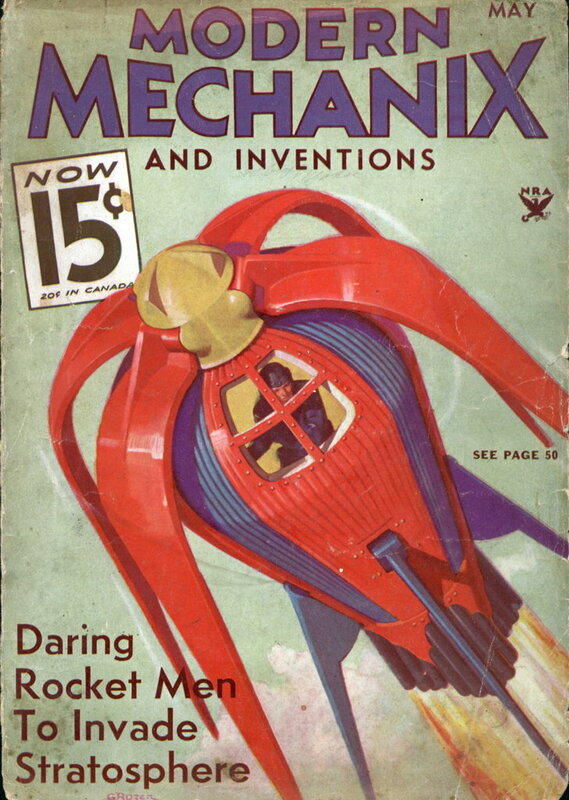 This side car, shown above, is equipped with a single bike wheel, has a bed-shaped body, and is attached to the bike frame with a metal rod. Unable to bring a baby’s cot aboard a war-refugee ship from the Mediterranean island of Malta, an ingenious mother converted a suitcase into a combination bed and carriage for her four-month-old son. 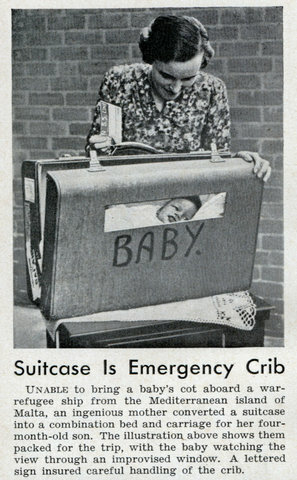 The illustration above shows them packed for the trip, with the baby watching the view through an improvised window. A lettered sign insured careful handling of the crib. 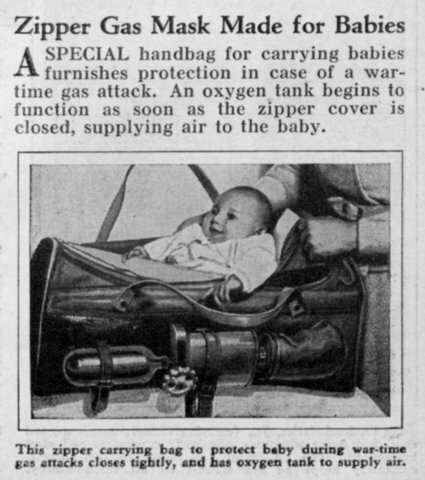 A special handbag for carrying babies furnishes protection in case of a war-time gas attack. 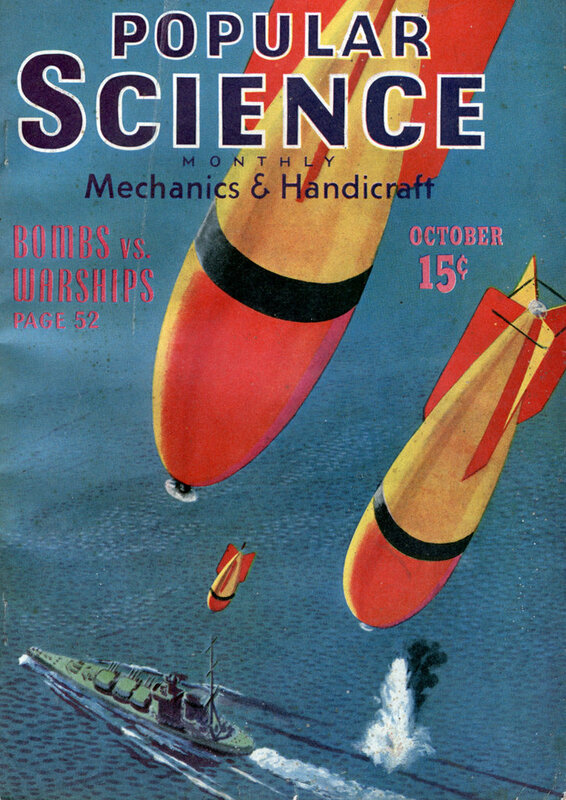 An oxygen tank begins to function as soon as the zipper cover is closed, supplying air to the baby.